California-based animal rescue group Hope for Paws has performed many daring rescues over the years. In April 2018, they went to perform another one of these risky rescues. 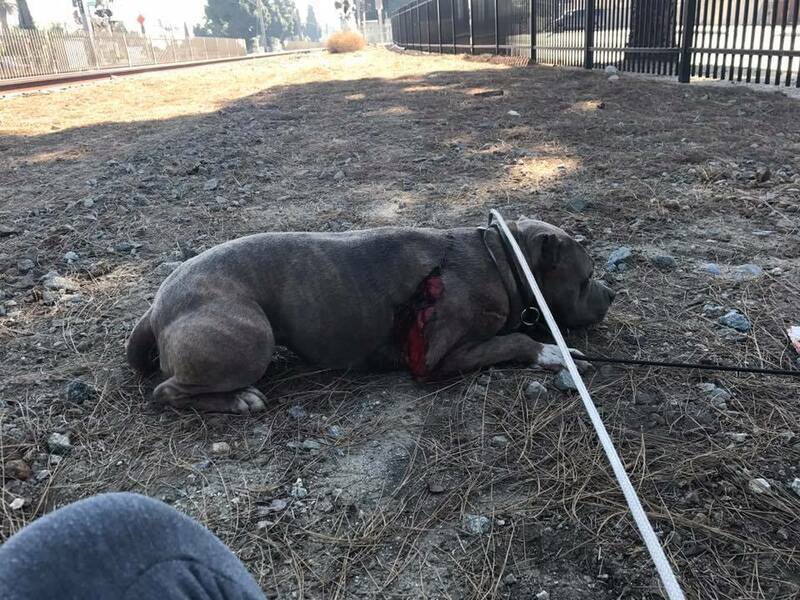 The group received a call about a badly injured pit bull that was stuck by the train tracks. 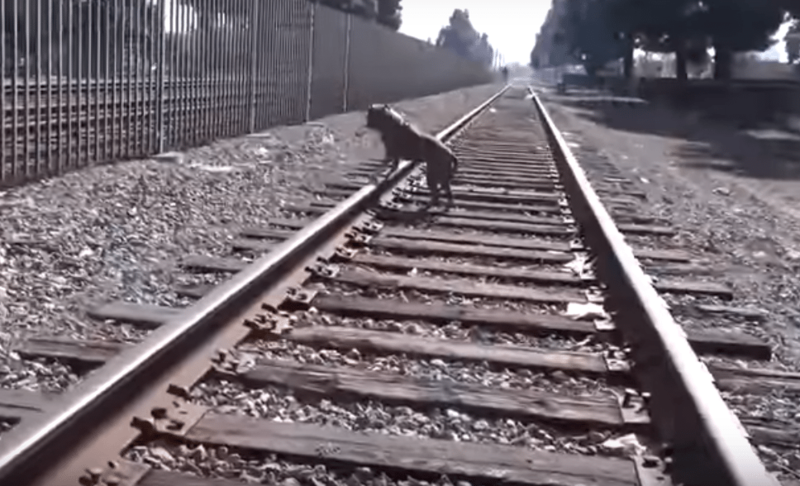 The rescuers rushed over, naturally worried that a train would come before they could save him. 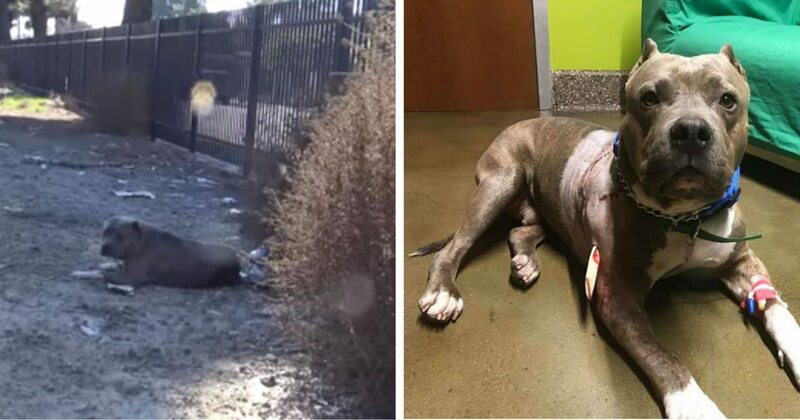 But when they got there, they learned they weren’t the only ones looking out for this pit bull. The town’s sheriff had already stopped all train traffic on this track. He wanted to make sure this poor animal got to safety before the worst could happen. The rescuers from Hope for Paws were relieved to hear that they didn’t have to worry about trains. With that fear gone, they put all their focus into rescuing the pit bull. The pit bull was nervous, and he kept trying to run from the rescuers. 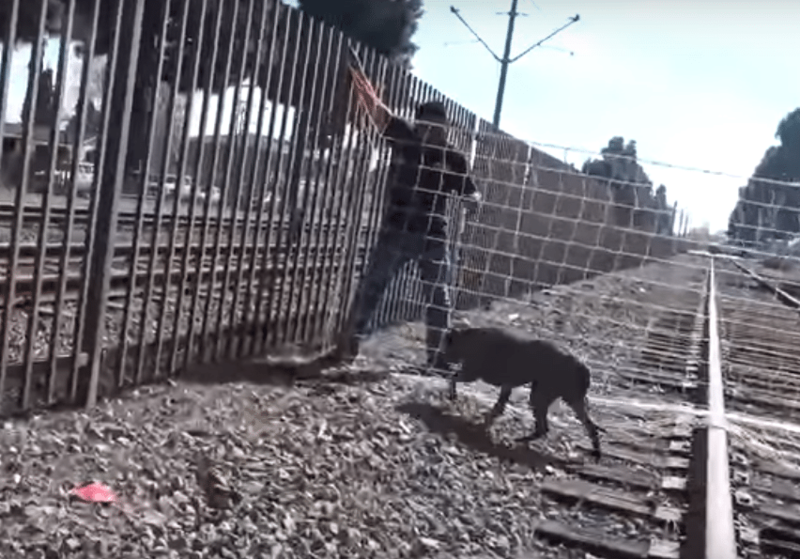 The rescuers worried that they wouldn’t be able to catch him in time, so they set up a net across the train tracks. The pit bull ran towards the net, but then he got nervous again and found a way to get past it. 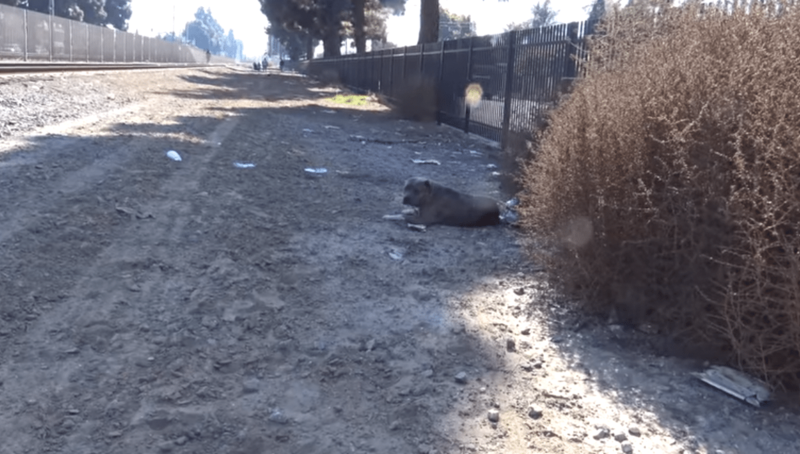 One of the rescuers ran as fast as he could, cutting off the pit bull’s escape route. When the pit bull saw that, he started running the other way. Another rescuer came up behind him and put a leash around his neck. Just like that, the pit bull was safe! When the rescuers got a closer look at the pit bull, they were shocked to see how deep the wound in his shoulder went. They brought him to a veterinarian straight away to get it treated. On the drive to the vet, the rescuers comforted the dog, assuring him that he was okay. When they reached the vet’s office, the pup was much more relaxed, and he let the veterinarians work on him without making a sound. The vets found that the dog also had a broken jaw and fractured teeth along with his injured shoulder. The poor dog had been through so much, but now he was finally safe. Once the dog was well enough, Hope for Paws worked with animal rescue group Paw Prints in the Sand to find the dog a foster home. They also gave him a new name, Hulk! 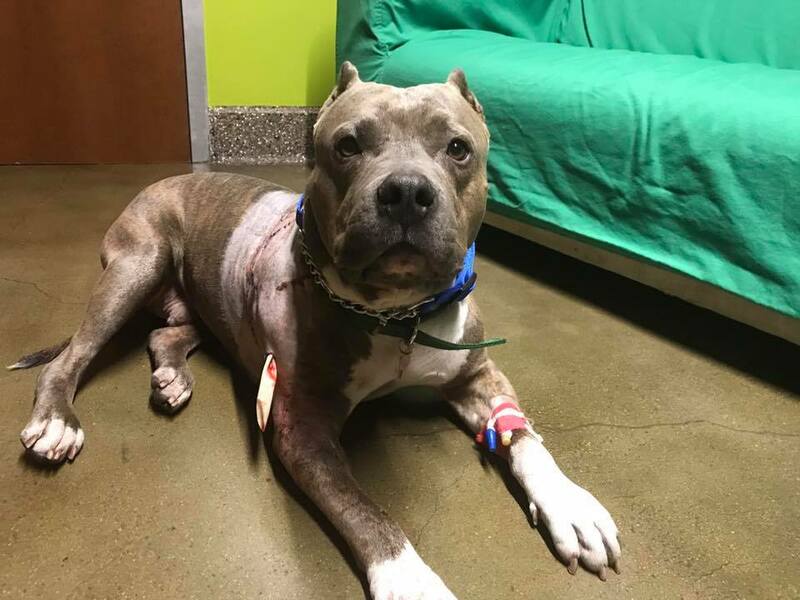 At his foster home, Hulk rested and recovered from his many wounds. The dog was very shy at first, but after a few days, he began cuddling with his foster mom. The first time this happened, his foster mom couldn’t help but shed a few tears. 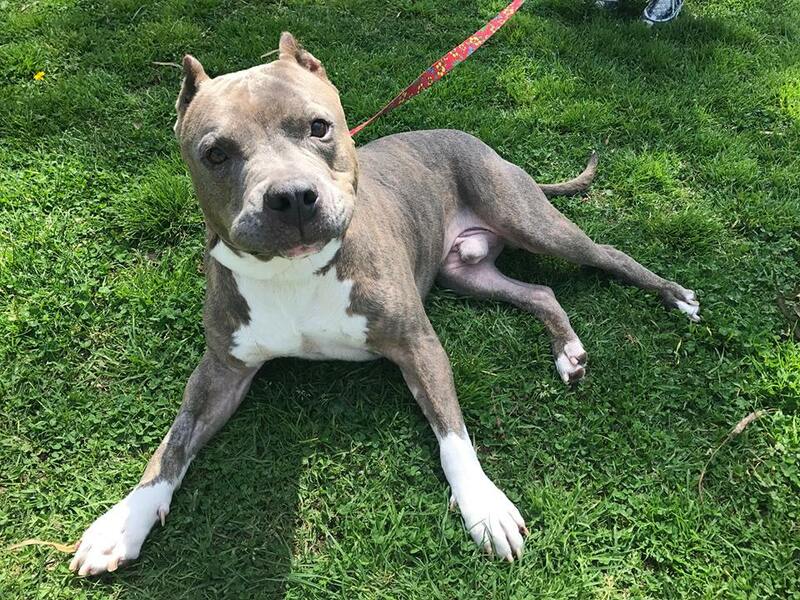 Hulk has now mostly recovered from his injuries, and he’s looking for his forever home. 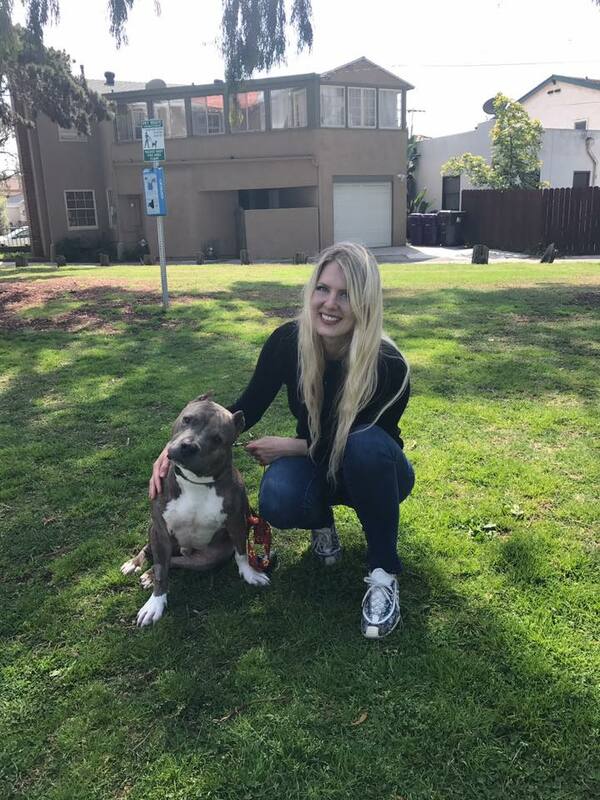 Thanks to the kind rescuers from Hope for Paws and Paw Prints in the Sand, Hulk is doing great and has learned to trust people again!